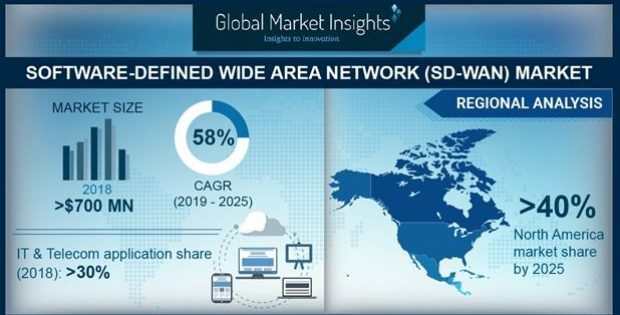 Software-Defined Wide Area Network Market driven by the growing adoption of network virtualization technology, which will enable organizations to scale their networking infrastructure in response to workloads by using cloud computing. 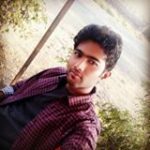 This will also help them to integrate their disparate network resources into their overall IT operations in a better manner. The solutions help enterprises to connect remote users and devices directly to the cloud and ensure that the connections are secured. These solutions enable them to reduce the network complexities of managing dynamic workload and provide improved network visibility. The players operating in the software-defined wide area network market are focusing on product innovations to develop new offerings to cater to the evolving needs of enterprise networks. The companies are offering new and cost-effective solutions to help enterprises address the growing infrastructure demands. In September 2017, Huawei launched its SD-WAN solution and a series of universal computing gateway systems to provide enterprises with an on-demand interconnection between multiple branches and cloud. In August 2018, Cisco and Sify Technologies launched managed and secure SD-WAN service, built on the Cisco SD-WAN platform for Indian enterprises. The physical appliance segment held a major portion of the software-defined wide area network market having a market share of around 75% in 2018. Physical appliances contain most of the SD-WAN functionality in the appliance itself, including firewalls, dynamic path routing, and WAN optimization. These appliances are the initial choice of SD-WAN adopters as they contain basic functionalities and advanced security in a single product that can be implemented on-premise. The new service providers provide flexibility to the customers to easily transition from their existing network to a fully secure SD-WAN platform. Some of the companies are focusing on strategic acquisitions to expand their existing capabilities to gain more market share. For instance, in August 2017, Cisco acquired Viptela, Inc. to develop a next-generation of intent-based networking solutions. Through this acquisition, the company blended Viptela’s technology with its SD-WAN products to bring next-generation solutions to the market. The manufacturing market is expected to exhibit the highest growth rate of over 60% from 2019 to 2025. The software-defined wide area network market growth is attributed to the growing popularity of IoT platforms. As sensors and smart devices are widely used in manufacturing facilities, the manufacturing companies require solutions, which can provide exceptional network visibility for managing those endpoints. SD-WAN solutions enable manufacturers to simplify the network management and prioritize network traffic to ensure that business-critical applications get the required connection. As the use of IoT devices and communication technologies in the manufacturing industry continues to rise, the demand for these solutions to support the connectivity across manufacturing facilities will increase. Furthermore, the penetration of smart IoT devices in various business verticals, including healthcare, manufacturing, telecom, and retail has increased the network complexities and security risks. SD-WAN solutions help to address the complexities of the IoT infrastructure and also improve the network visibility for managing connected devices to reduce security risks. The penetration of AI-enabled SD-WAN solutions will also contribute toward software-defined wide area network market growth. Machine learning algorithms are widely used for WAN optimization, enabling network administrators to analyze the WAN traffic and automatically re-route the traffic for the selected connection. Managed services in the software-defined wide area network market is expected to grow at a CAGR of over 65% from 2019 to 2025. The demand for these services is expected to accelerate as organizations are outsourcing the implementation of their WAN infrastructure to managed service providers to reduce the complexities associated with the in-house WAN deployment. Managed services enable them to reduce their operational costs as the majority of the network functions are outsourced to third-parties. These factors are expected to drive the demand for managed services in the market. The software-defined wide area network market in Asia Pacific will show the fastest growth rate of over 61% over the forecast timeline. The market growth is driven by the growing adoption of cloud-based infrastructure by enterprises to achieve agility and improve application performance. The enterprises are adopting solutions to improve their network performance and reduce the complexity associated with the existing WAN infrastructure. Another factor accelerating market growth in the region is the adoption of network virtualization technologies to reduce the operational costs and enhance the automation of networks. For example, in December 2017, China Telecom selected ZTE for the provisional cloud resource pool pre-commercial trial SDN project. Under the collaboration, ZTE provided China Telecom with full series of SDN solutions to support the need for automatic resource pool deployment and resource pool interconnection while managing construction costs.